So sorry but updating the website has been on our minds YET has fallen through the cracks. The short answer is business has been great and we are too busy finding great wines and selling it to wonderful establishments. 2018 was another banner year and it started in Spring where we set a new sales high in April topping the usually busiest month of December 2017. This continued throughout the year with rarely a slow period to take stock of the business as a whole. We officially moved into our office in Williamsburg, Brooklyn in January and though it has not always been smooth sailing and the office does not look as we anticipate it will in time we are happy that we have a place to call home when we are in the city. Another perk is we are close to Beerkarma when we want to change things up and have a craft beer. We both traveled this year, Anthony in April to Vinitaly and Ben to France in July/August to visit our producers and to find new ones too. 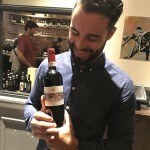 In September we did another Fall Portfolio Tasting showing off our new things, and old faves alike. We teamed up with our friends at Vinotas Seelections and Chrystalline Imports and met many new people and old friends. 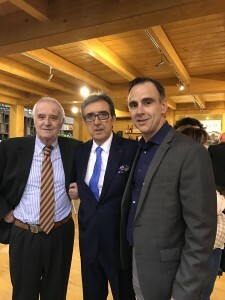 Our Connecticut business also continues to flourish with our buddy Mark Ancona formerly of Fountainhead Imports doing an amazing job selling and promoting our wines and cause. It has been a very fortuitous relationship for all of us. We finished the year with a flurry of tastings and events ’til the end setting sales records consecutively in October, November and December. I know I am leaving out much like awards our producers won or visits that people made to the US…. but I just need to get something posted – again!!!! We look forward to move good things to come in 2019 and we will start with our first foray into California by bringing in Fred Peterson’s eponymous wines Peterson Winery in Mendocino. VERY exciting for all of us. Last week we hosted our second Portfolio Tasting for 2017 at Racine’s restaurant in Tribeca along with two other small importers and it was a huge success. We were fortunate to have our newest winemaker Tim Malone of Timothy Malone Wines in town pouring his Oregon wines: Riesling, and Pinot Noir from Willamette and Dundee Hills. The event also gave us a wonderful opportunity to show new wines that will arrive this Fall from Rheinhessen, Germany: Heyl zu Herrnsheim. This will be our first frolic into Germany and Oregon and we are very excited to see the market reaction. Heyl produces some outstanding white wines and we will import some rieslings and a pinot blanc ‘Weisser Burgunder’. Recently we also added wines from Alsace, Martin Schaetzel who produces small production Grand Cru wines that have been an immediate hit for us and showed great for the tasting. We had a nice turnout with many wine professionals offering good feedback and praise for our new vintages from France and Italy and also a fresh evaluation on some GV standouts. Things are looking great and we are very excited for the coming Fall season. We had a record breaking summer of wines sales with the addition of very strong sales in New Jersey added to the steady increase in New York, sales were over 50% higher than a year ago in every month from May – August. Connecticut continues to being a strong growth market for us and we hope the new year has us expanding outside the tri state market. As always, thank you for your support, we are truly grateful for every customer and client we have and look forward to adding more this Fall. 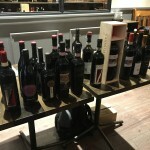 Though this post is later than intended Anthony’s visit to Valle d’Aosta after Vinitaly was outstanding on every level. Visiting this alpine region was a first and seeing this area nicknamed ‘extreme winemaking’ really brought it all to life. 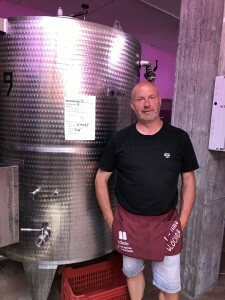 Danilo Charrere the owner and winemaker of Le Clocher was a wonderful host and his new vintages did not disappoint. 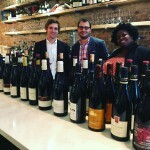 The standouts soon to be imported were clearly his Petite Arvine, Gamay and Fumin – can’t wait to bring them into the US. 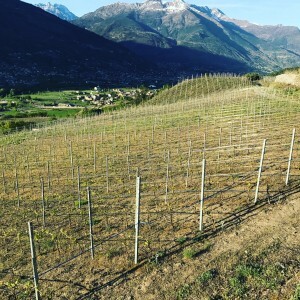 Truthfully the landscape was really the star since you are surrounded by the Alps [this region borders Switzerland and France on Italy's northwest] and the beautiful sunlight and cool mountain air create wines that are a combination of finesse and complexity. Add in that the wines are made in a natural and organic ‘old school hands off’ manner and you have wines that will expand your wine drinking horizons for all time. Vinitaly is always sheer mayhem because, well traveling and driving in Italy is already an extreme sport. Vinitaly brings almost every Italian winemaker into one location for 4 days every year and no matter how prepared you are it always turns out to be one big puzzle. This year I spent most of my time not looking for new producers but instead looking deeper within our current base of great Italian producers for some hidden gems that I wanted to re-taste. That does not mean that there will not be something new coming soon since I did find something super rare and interesting but the all important negotiations of business still need to be worked out before I can say. In the end the weather was outstanding, the food stellar and the new vintages were overall amazing. Also Verona is a magical small Italian city with an old castle, a Roman arena and plenty of beautiful things to see therefore it is hard to make a trip like this anything but a success. On March 13th we continued to kick the ball forward and partnered with Vinotas Selections to offer to the wine trade our First Portfolio Tasting at the NY hotspot Terroir Tribeca. We showcased 50 wines, which today is barely a 1/3 of our offerings so the hardest part for us was to whittle down the selections. 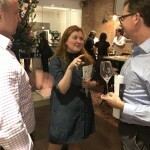 We tried to use the occasion to show some new wines and new vintages especially our new rose’s. Wines like the Provence rose ‘Fleur’ from L’amaurigue were huge hits and we took many orders that day. We met many new potential clients while many of our regular customers came to taste a bunch of wines at one setting. FUN but exhausting too! In early February we had a wonderful evening at Gentleman Farmer in Fort Greene, Brooklyn where they prepared a special menu to go with the fabulous wines of Frank e Serafico. It was a special evening because we had the winemaker Fabrizio [Frank] Testa visiting us and explaining all the details of his wines and his fairly new estate located on the Tuscan coast in the Maremma. We began the evening with his Vermentino, then moved to his reds like Morellino di Scansano, Sangiovese and his blend called, what else? Frank!! We finished up with a little dessert and paired it with L’armangia’s Moscate d’Asti di Canelli. Great time!